The West Wales Wool Show takes place in two venues - the Queens Hall and the Plas Hyfryd Hotel. 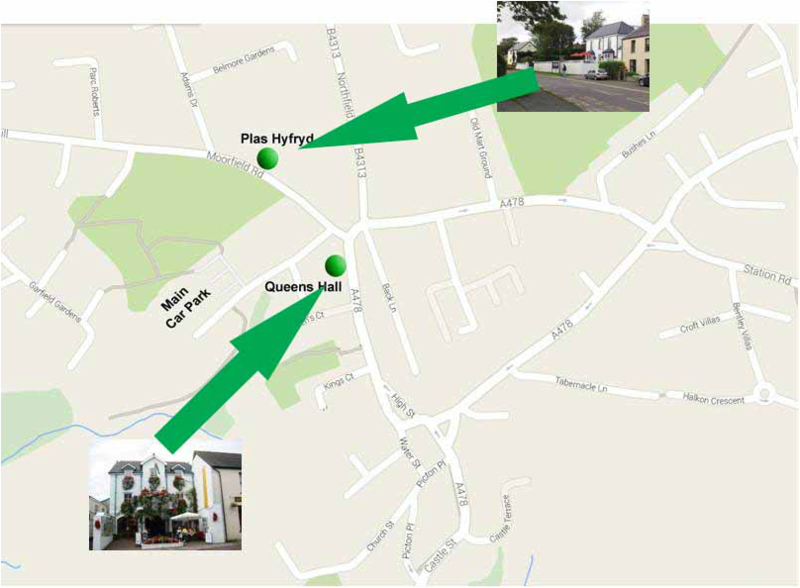 Both are within easy walking distance of the main car park. 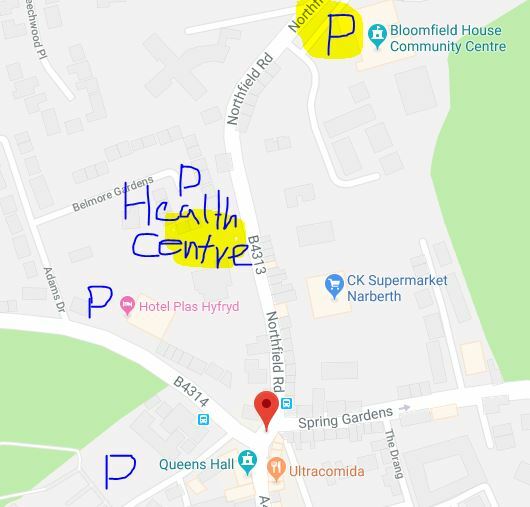 There is additional parking available both at the Bloomfield Community Centre, and the Narberth Health Centre. Both are on Redstone Road, see map. On the day of the Wool Show we will put yellow sheep signs up so that it’s easier to see. It’s a little walk into town but the parking is free of charge!